The Prag shoulder bag by Hey Sign is perfect for all occasions and is an absolute all-rounder. 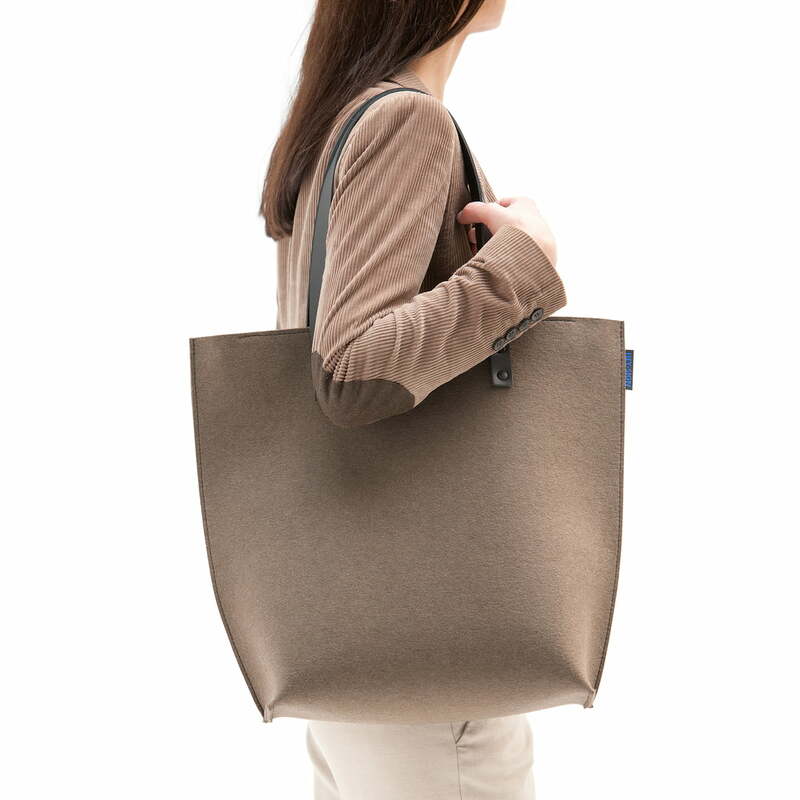 For work, shopping, the university or on the road: The sturdy tote bag with the dimensions 45 x 40 x 12.5 cm stows books and purchases effortlessly. The bag with one big pocket and convenient zip provides quick access to everything that is important. Hey Sign co-founder Bernadette Ehmanns is responsible for the design. The slim leather straps make for an interesting mix of materials, which completes the look and at the same time feels pleasant in the hand, so that it rests comfortably on the shoulder. 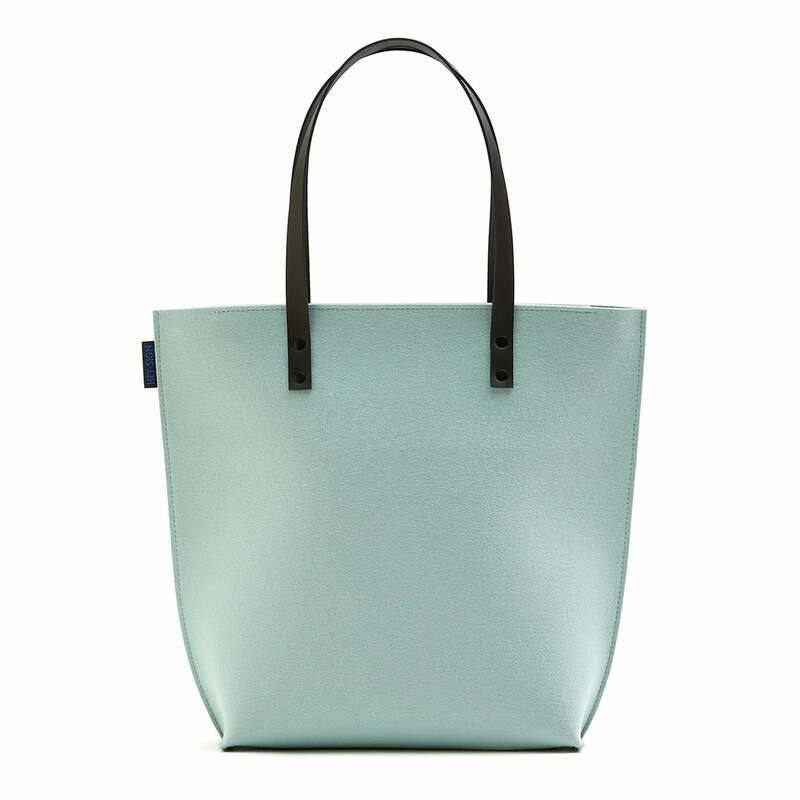 The Prag tote bag is a companion you will love to take along. Since felt keeps the shape in which it dries, make sure that the bag after cleaning is filled with a towel or something similar, to preserve the original shape of the bag. Small fabric lints that might be caused by the rubbing of several fabric, can be removed with a lint shaver. 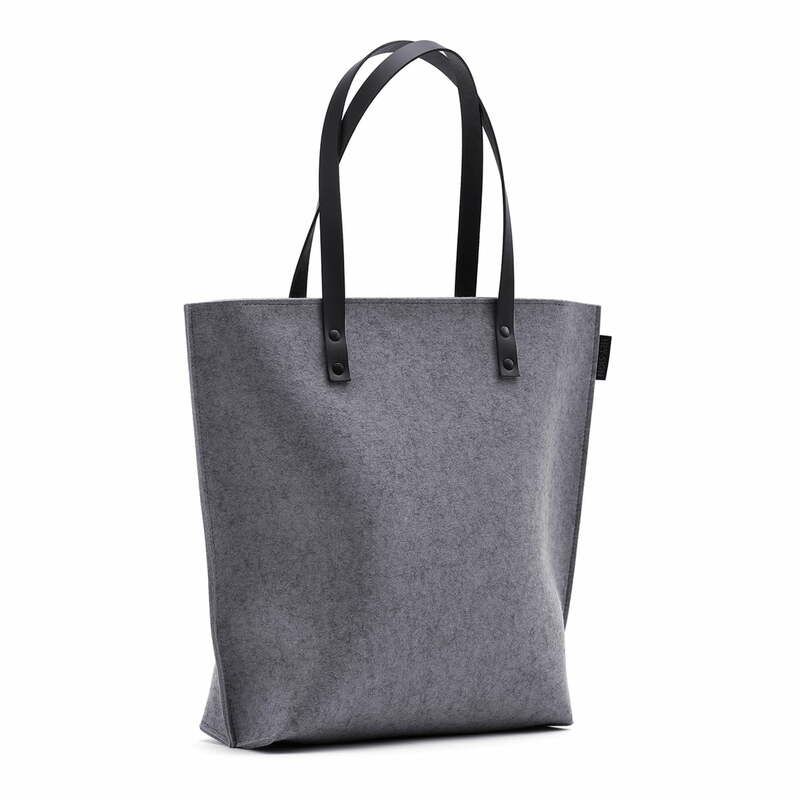 Product view of the Hey Sign - Prag felt bag in anthracite. Whether for shopping, the university or for purchases, the Prag bag is the perfect companion for your daily life. Product view of the Prag felt bag by the German company Hey Sign. Made of sturdy wool and equipped with straps the bag offers a high carrying comfort. Product view of the Hey Sign - Prag felt bag. The combination of wool and leather makes for a great mix of materials, which draws everyone's attention. 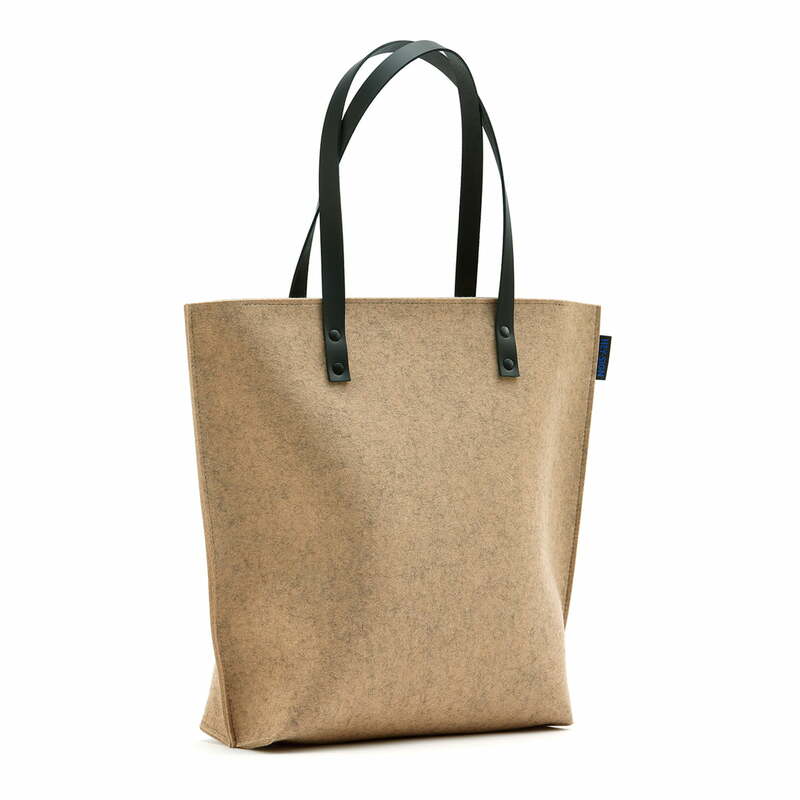 Product view of the Hey Sign - Prag felt bag in taupe. The soft leather carrying straps make for a pleasant carrying comfort in the hand or on the shoulder. 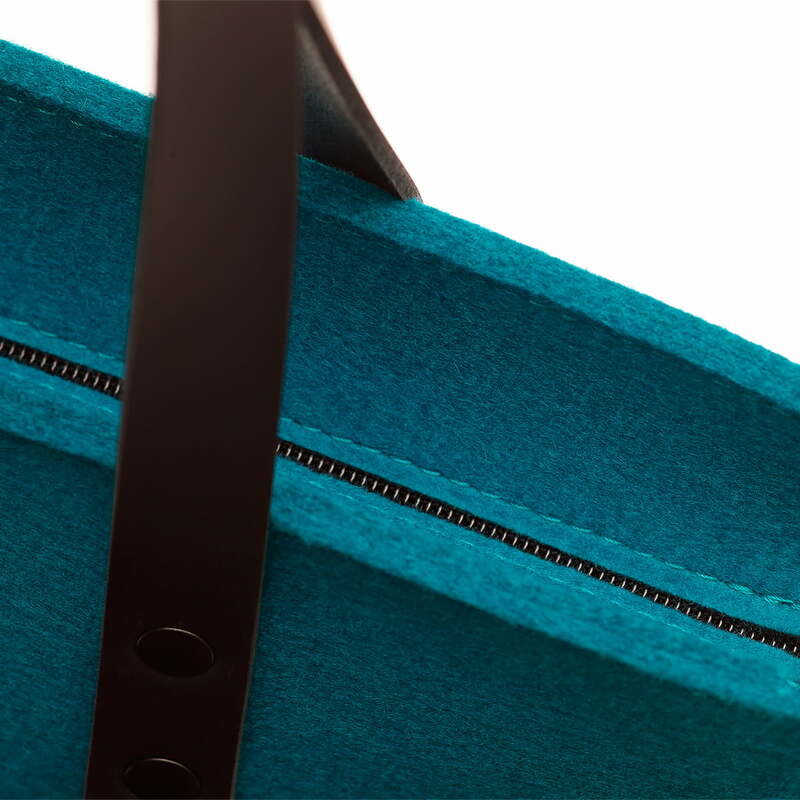 Detail view of the Hey Sign - Prag felt bag. The bag allows to be easily closed with a zip. Furthermore an inside pocket stores all small things safely.